Stop the neo-Druids from conducting ritual killings! 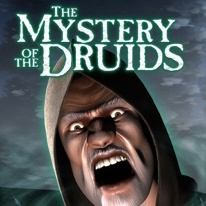 Take on the role of young Scotland Yard Detective Brent Halligan, assigned to solve the puzzle surrounding a mysterious order of Druids and a series of gruesome murders. It appears that the neo-Druids are conducting ritual killings in order to conjure up incredibly sinister forces.